Linen lampshades add an elegant touch to any room, but they can collect dust just like any fabric lampshade can. 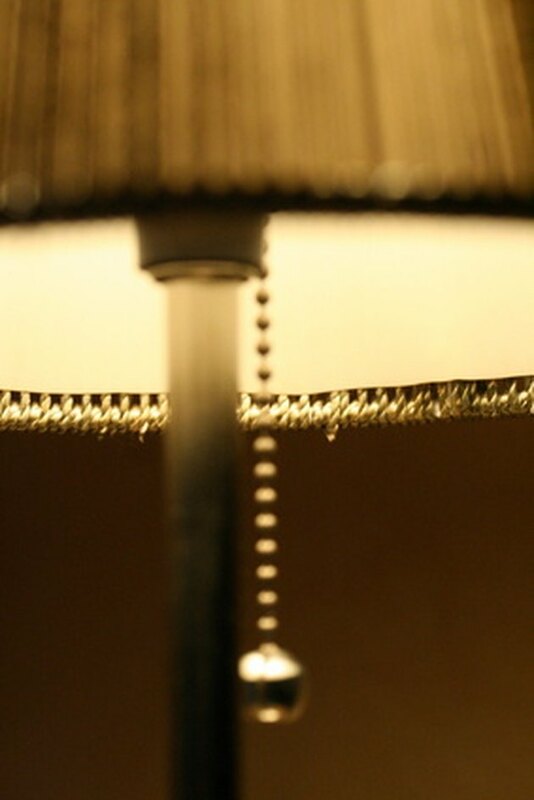 Most fabric lampshades can be immersed in water but linen shades should be kept dry, if possible. There are a number of liquid-free methods to try on the soiled linen lampshade unless it is so dirty that washing is the last resort. Linen shades are elegant but they can be dust traps. Remove the shade from its fitting. Vacuum the shade inside and out with a brush attachment. Follow the grain of the fabric. If this is the only method of cleaning the shade requires, put it back on the lamp or light fitting. If you are unable to detach the shade from its fitting, a paintbrush that has never been used for painting will lift the dust from the fabric fibers. Take the brush outside once or twice during cleaning to remove the accumulated dust. Spot-clean a lampshade by using mild soap and water to create foamy bubbles in a sink. Scoop up some of the foam on a soft brush and apply to the stain. Gently brush the stain in a circular motion. Wipe off the bubbles with a damp cloth and allow to dry completely. Vacuum any remaining dried soap using the brush attachment. Run a bath of warm water just a few inches deep with a little mild soap added. Vacuum the shade to remove loose dust and detach any trimmings. Lay it sideways in the water. Rotate slowly, sponging the fabric as you turn it. Drain the water and rinse the shade thoroughly. Press a clean towel over the fabric to soak up the excess water. Tie a piece of string to the frame of the shade and hang it over a shower curtain rod or on a clothesline to dry.